Calculate your estimated Canadian tax refund. Is there a better alternative to TurboTax Refund Calculator? Is TurboTax Refund Calculator really the best app in Personal Finance category? 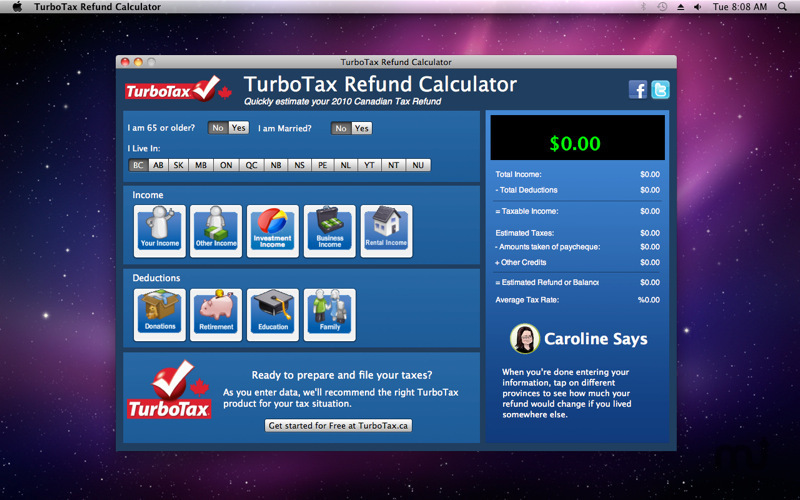 Will TurboTax Refund Calculator work good on macOS 10.13.4? TurboTax Refund Calculator makes it easy to estimate how much you're going to get back this year from the CRA or how much you'll owe and how much to contribute to your RRSP to make the biggest difference. 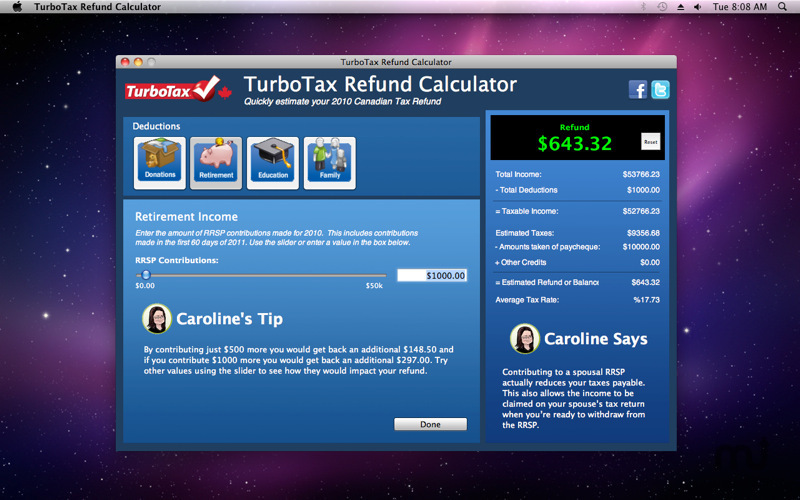 TurboTax Refund Calculator comes from the same folks that bring you TurboTax, Canada's #1-best selling tax software. TurboTax Refund Calculator needs a rating. Be the first to rate this app and get the discussion started!